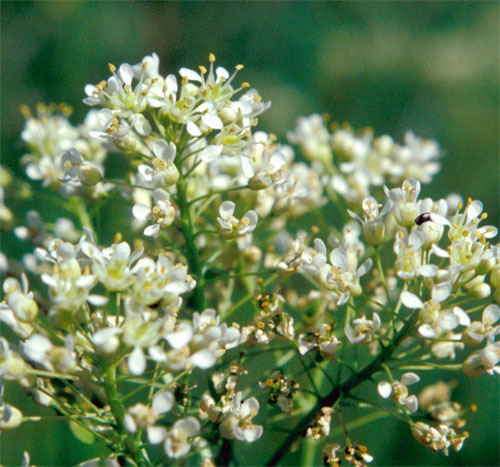 Lens-Podded Hoary Cress is native to Europe and Asia and was introduced to North America together with the very similar globe-podded hoary cress in the early 1900s. It was likely introduced as a contaminant of alfalfa seed or horse feed. 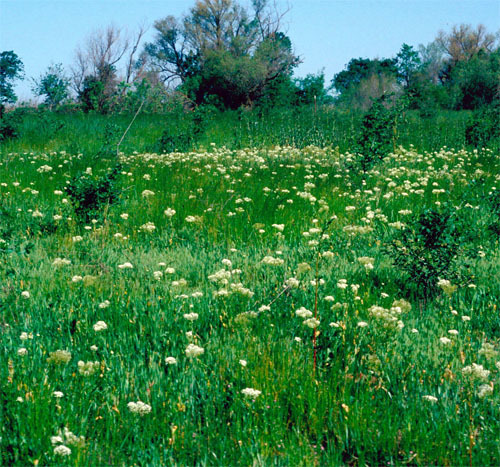 Lens-Podded Hoary Cress can be an aggressive invader that can form dense monocultures in open grasslands and riparian areas. It also serves as a host for insect pests that feed on crops. The flowers are white, 6-10 mm wide, and have four petals. Numerous flowers are borne at the end of the stem in flat topped clusters. Leaves are grey-green or blue-green in colour, oblong or lance shaped, and 4-10 cm long. The leaves of most plants are covered with soft hairs and clasp the stem. Some plants have short stalked leaves with no hairs. 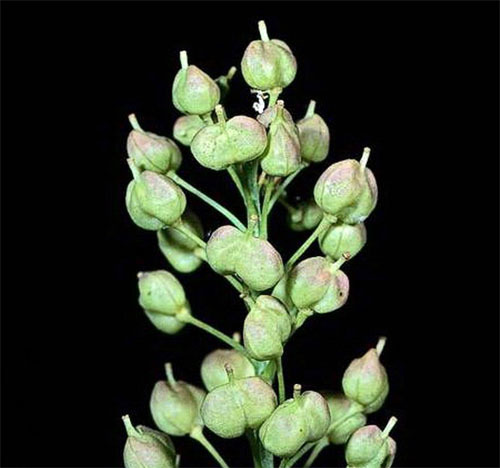 The fruits of this hoary cress are spherical in shape and have no hairs. Stems are erect, are sometimes hairy, and can grow up to 65 cm tall. Shepherd’s Purse - Capsella bursa-pastoris - native plant, ‘weed’, but the seed pods are triangular and stand above the stalk, rather than heart shaped and hanging below as in the Hoary Cress. The leaves are highly variable and the flowers look similar. Cresses tend to have hairy stems. Interestingly, this plant is being raised commercially as ‘pennycress’ and is being processed into an ‘natural’ herbicide and biofuel. Please keep your eyes out for this species and report it to invasiveweeds@edmonton.ca when in doubt.